Founded in 1915, Hawken School is a coeducational private day school of over 1,300 students with campuses in Gates Mills (grades 9 – 12), Lyndhurst (preschool – grade 8), Cleveland’s west side (preschool – grade 8), and an urban extension center in University Circle. With a diverse and unified student body supported by $8.4 million in tuition assistance, the school is profoundly committed to the development of character and intellect. Central to Hawken’s mission is our promise to “prepare students to navigate a complex and dynamic world with self-confidence and determination; embrace challenges with disciplined analysis and creativity; and engage others with empathy and integrity.” The fulfillment of this promise has earned Hawken a national reputation for educational excellence and innovative programming. Learn more about Hawken's Purpose, Promise and Principles. Meet our Head of School, Scott Looney. Read about Hawken's financial assistance and merit scholarships. Students who go on to a four-year college or university: 100%. For the class of 2017, 46% of the class received college merit scholarships totaling over $5.5 million per year. 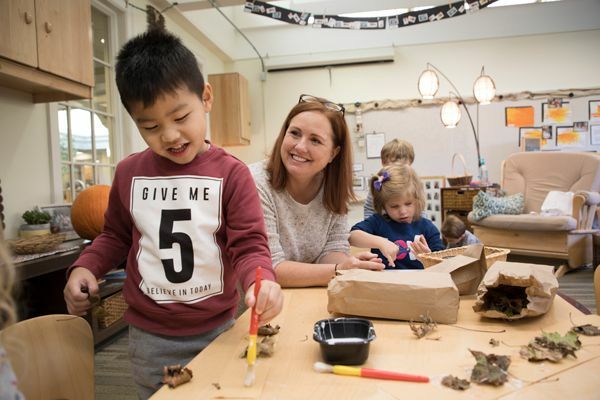 Our Promise: Hawken School prepares students to navigate a complex and dynamic world with self-confidence and determination; embrace challenges with disciplined analysis and creativity; and engage others with empathy and integrity. Accreditation: Hawken School is fully accredited by the Independent Schools Association of the Central States (ISACS) and is officially approved by the State of Ohio, from which it holds charters as an elementary school and as a secondary school.